One for Ireland was founded in 2015 by a group of students and young people who wanted to make a difference for their peers in Ireland. Once a year One for Ireland works in conjunction with the Irish Youth Foundation to make a difference for a youth issue, and you can be a part of it. 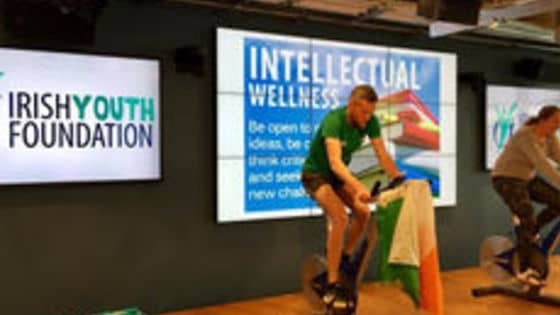 On 14th June Facebook employees will be competing in the Spinathon to raise funds for One for Ireland. 100% of every euro raised goes directly to the 7 charity partners (https://oneforireland.ie/ourpartners.php).- Sign up now, have some fun and be the difference for mental health in Ireland.